Now, let’s talk about CRMs. In earlier days, the focus of CRMs was to reduce the cost around customer acquisition, retention, and servicing them. Now, it has customer portals that look after saving time and resources along with cost cutting. It also strives to provide quality of services to customers. Sugar CRM facilitates enterprises by enabling them to build customer portals to better their engagement. Suite CRM is built on SugarCRM community version, which also builds dynamic SuiteCRM Customer Portal. So, IoT is changing the way people live and Sugar CRM is changing the way enterprise work. Now what if they both work together? This synergy will create an environment of predictive and preventive functionalities that send alert for future actions. Such a system will notify your customers in advance before they face any problem and provide a service or solution to the issues they might face in the near future. 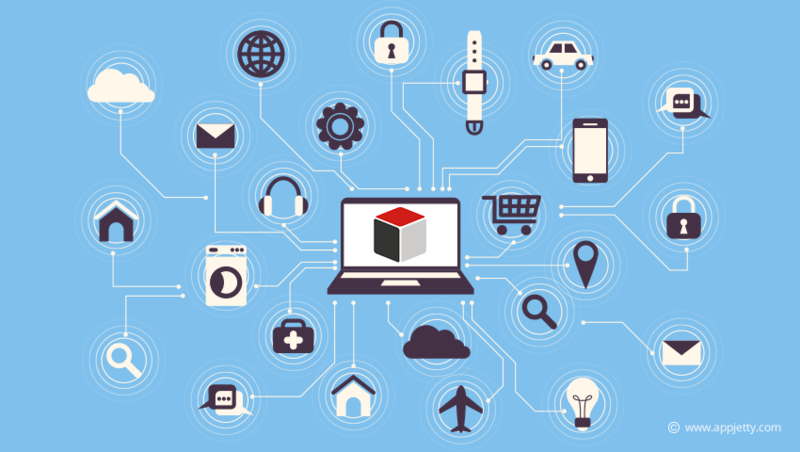 IoT will decode the buying pattern of the customer in real-time, and it will help the SugarCRM Self Service Portal or application to include them in the right marketing campaign. Gartner researched recently about the drivers of a CRM applications. In that study, the most important attributes were: Mobile, Cloud, Big Data and Social Networking capability. Further, that study says that Internet of Things is going to be the fifth driver after these four. Consider a scenario of a hearing aid company. The hearing Aid Industry has become more advanced. Now it is trying to introduce innovative features in their product lists. Examples could be longer battery life, Bluetooth compatibility, noise reduction. It is also introducing products for controlling your hearing aid device through smart phone, etc. Let us take few scenarios from this company. It will help us to understand how IoT helps in providing services to customers, with the help of IoT and its integration with CRM. Company can design their Sugar CRM application to share this data. It can also trigger some informative information that certain features of the product are in use for a single time. SugarCRM application will integrate this information and will send a notification to the staff. The flexibility of Sugar CRM will also allow you to render this information in another manner. It also drives the system to generate a service case where the system will register a support call automatically to the customer. The system will assign it to a service representative automatically, who will make a call to the customer to update the problem, or ask for other services. Apart from this, IoT with SugarCRM can also help sales and marketing functions in multiple ways. Real-time data generated by IoT will you to help understand in numerous ways. It will tell you usage of the product, buying patterns of the customer, opportunities for cross-selling and up selling, deciding flexible pricing, etc. Your sales team can analyze the IoT generated data to decide future campaigns by knowing the right customers. So, why wait? Leverage the power of IoT and Sugar CRM and get the best out of your business. It will make the work flow faster and user friendly. This will also stay helpful for your staff and assist them to boost their productivity. If you wish to know more about such future app or share your views about it, feel free to reach us!